New stationery is a way I love to start a new semester at university. There’s just something about having a nice new notepad or pencil case to make me excited to start studying again. As if by magic, an email popped into my inbox last week asking if I’d like tor review some products ideal for students… right before I go back to uni on Monday! I quickly googled the company, Scaramanga, then spent about an hour browsing their beautiful vintage, upcycled, arty items. Honestly, I’d fill my house with Scaramanga furniture and art prints if I could – their eclectic bohemian vibe is so me. If you love satchels like I do, they’ve got a huge variety! Anyway, my parcel arrived this morning, with the items packaged neatly in a gorgeous cloth bag. I’m bad at using purses, because I don’t tend to use them once they start getting tatty. As this one is made from repurposed leather, I don’t need to worry about it getting a bit scruffy, because that just adds to the vintage vibe. When I go out generally in London or to work, I usually just take my travelcard holder with my debit card / oyster card / ID with me. 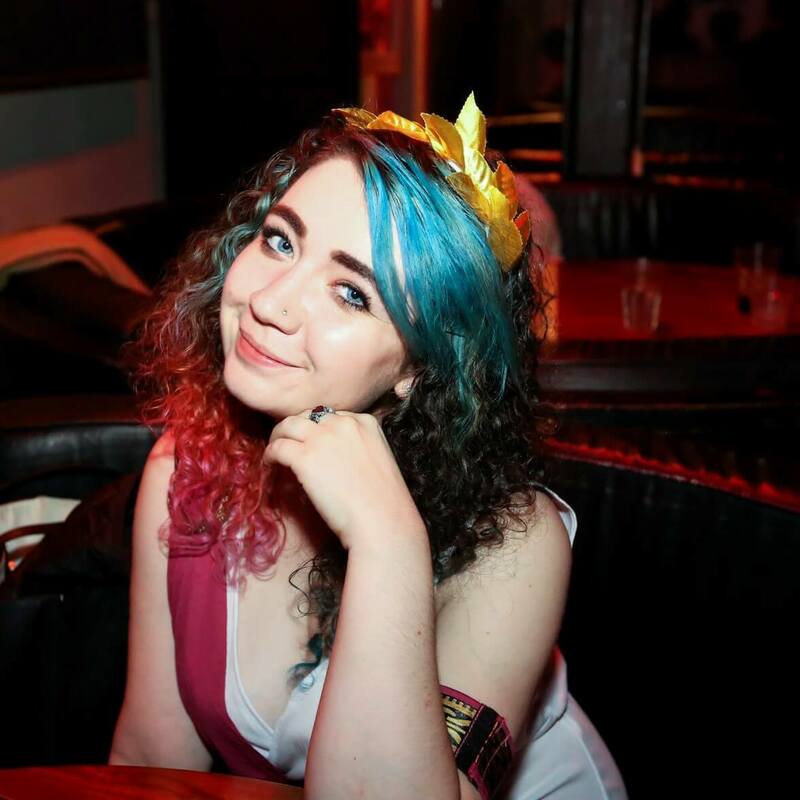 When I’m at university though, I need to take a bag with my books in, my student ID, NUS card, Senate House library card… there’s more to carry. This purse will come in handy to keep all of my student cards in, and perhaps I’ll get better at using shop discounts that way, because everything will be with me. This purse has a decent amount of slots for your cards, sections for cash, and for coins. I don’t really use much cash in the UK, but this will be very useful when I’m travelling. 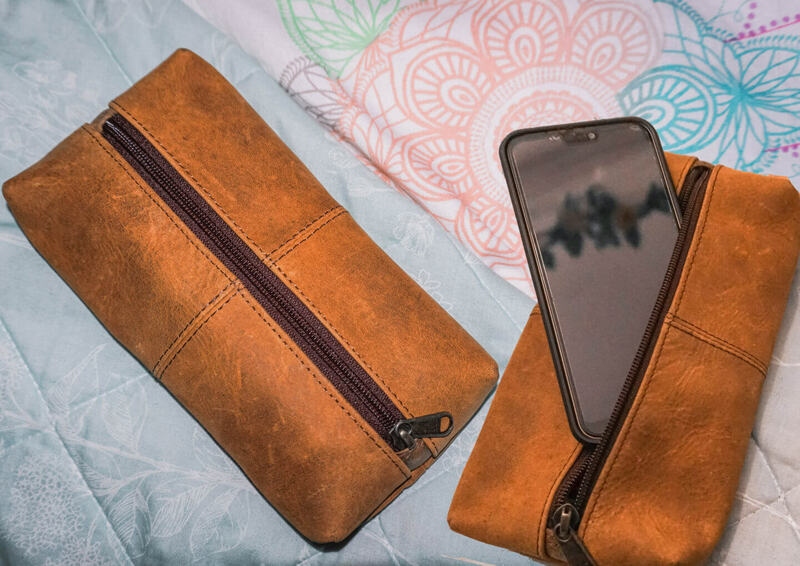 This leather purse is currently on sale for £23.10 [down from £33], and they have other leather purses and wallets that you can have embossed with your name / initials, in varying font styles. You can even opt for embossed symbols, for example your zodiac sign, or famous world monuments like the Colosseum and Big Ben! This is definitely my favourite item of the three! 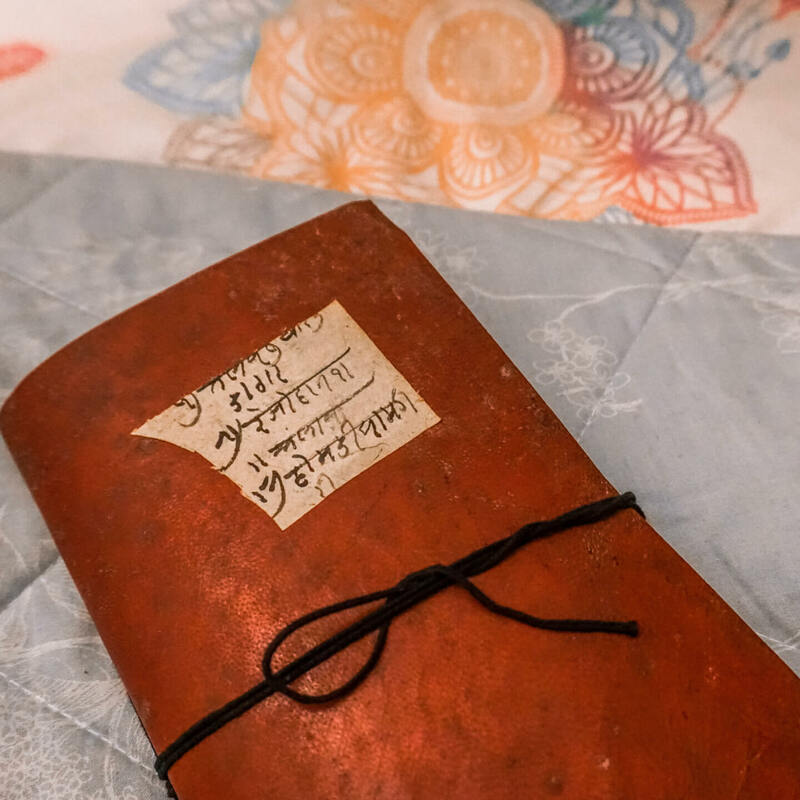 Scaramanga’s journals are hand-crafted from vintage leather, some containing beautiful old Hindi script like mine has on the cover. I adore the well-worn look, and the high-quality feel of the recycled cotton paper. 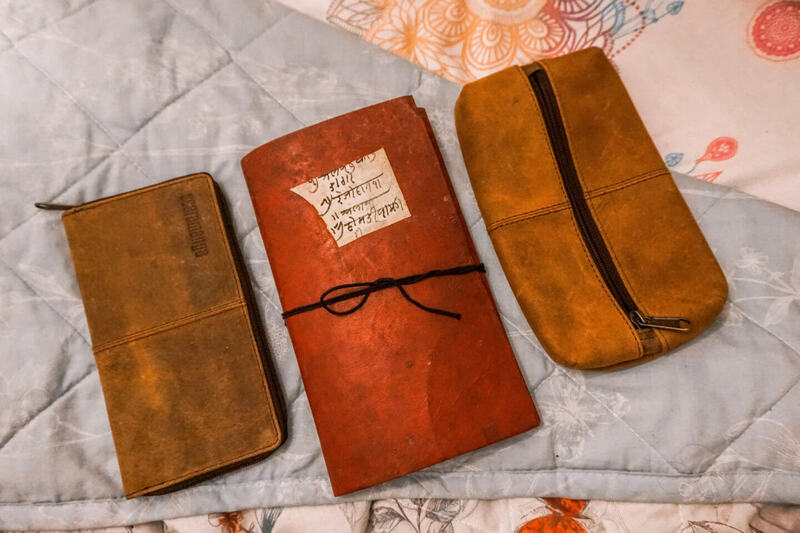 If you want to get into bullet journalling, or start a travel journal, one of these would be perfect. This little journal is the perfect size for me: I can take it easily around the museums I visit for my archaeology MA, and the plain unlined pages are ideal for drawing little sketches and diagrams of sculpture, architecture, reliefs etc. This particular style of journal ranges in price from £6.50 for small, £8.25 for medium, and £10.50 for large. Scaramanga have a variety of other vintage leather journals too, including an adorable little one for £2.30, and even ones with padlocks! 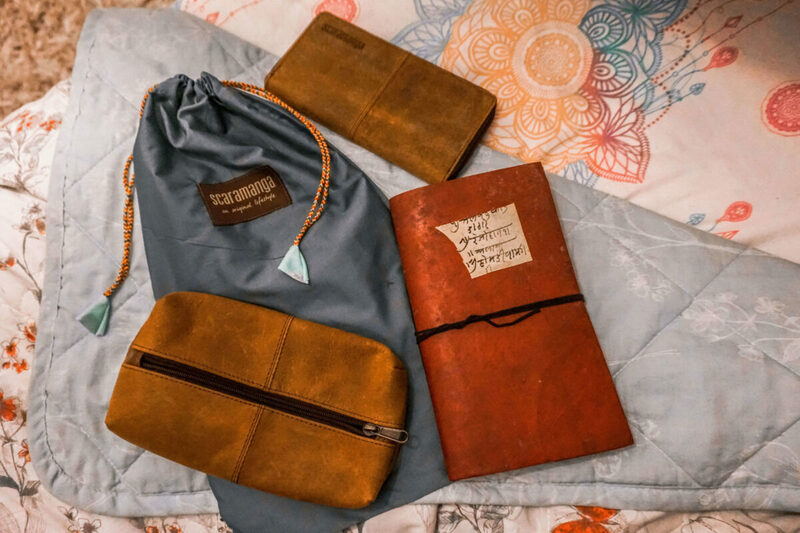 Each journal is handmade, high-quality and unique, so the prices are amazing. 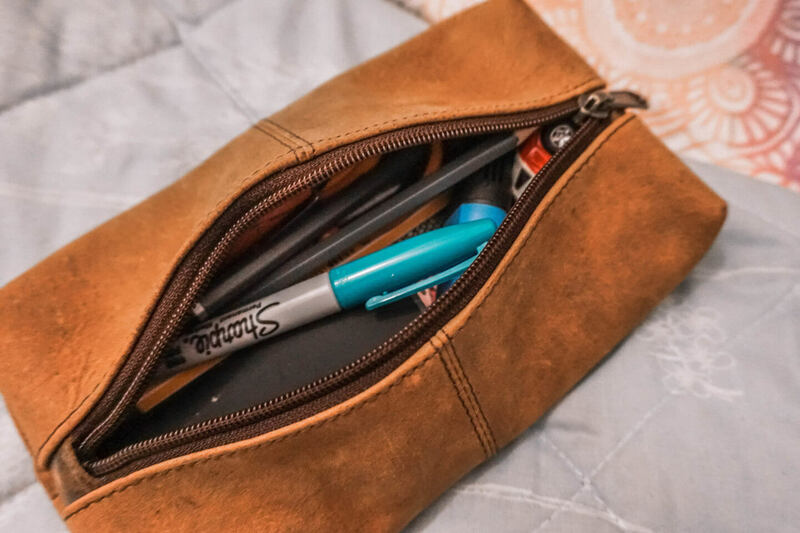 This particular leather pencil case is £11, and it’s the perfect size to fit everything I need for my course: some writing pens, drawing pencils, ruler, eraser, headphones, a USB stick etc. 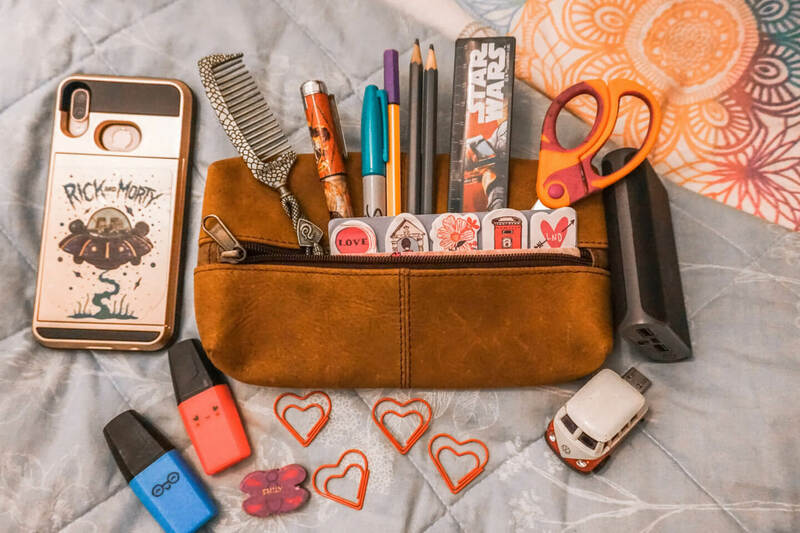 You could also use it to store paint brushes or art supplies, or makeup brushes… anything you want really, it’s a good way to clear up some space in your handbag by keeping small things together. I think this will come in handy when I’m travelling too, because it’s big enough to store some cables, a portable phone charger, any spare SD cards for my camera, folded up papers, and I can even fit my phone in here with plenty of free space! 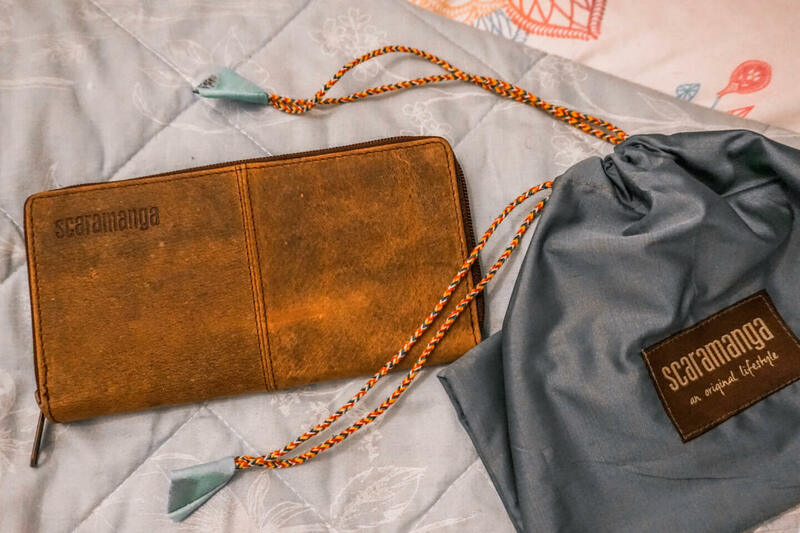 I’m very impressed with the quality of Scaramanga’s items, and I love that they’re all made from repurposed vintage leather… everything is so soft to touch, which I find comforting. I can’t wait to go back to university on Monday with a matching range of unique, functional accessories. 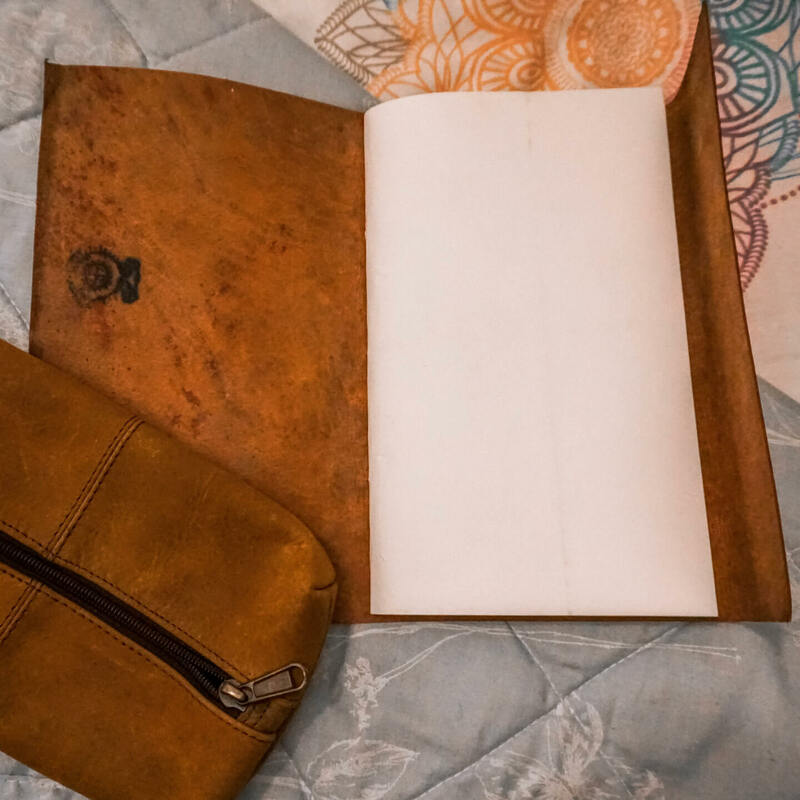 I will definitely be ordering more journals, and perhaps one day a beautiful satchel to put my new stationery set in! 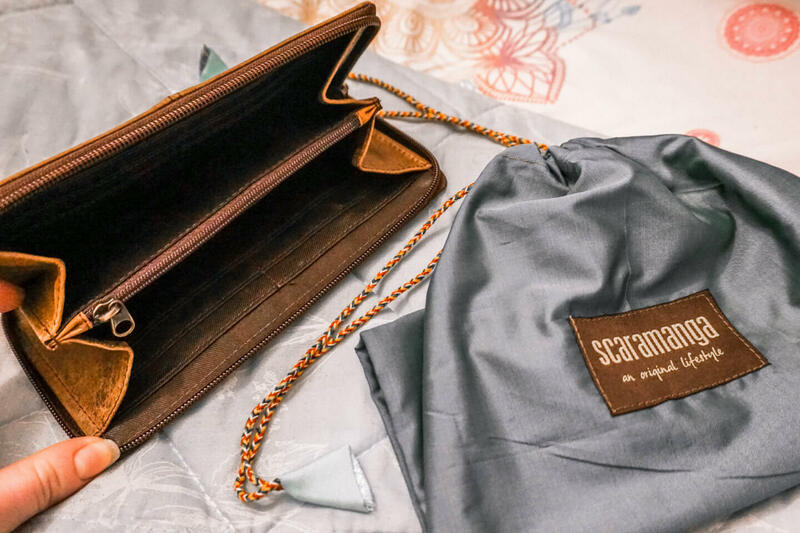 You can use the code STUDENT15 for 15% off all Scaramanga products!